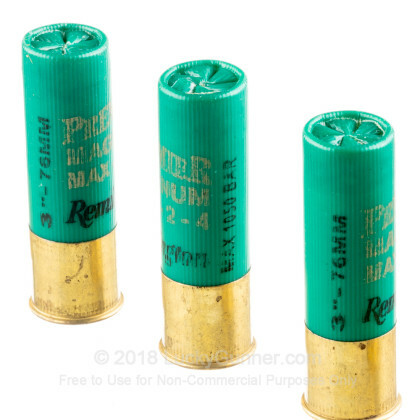 The 12 gauge has been around for years and is the most popular shotgun in the United States. 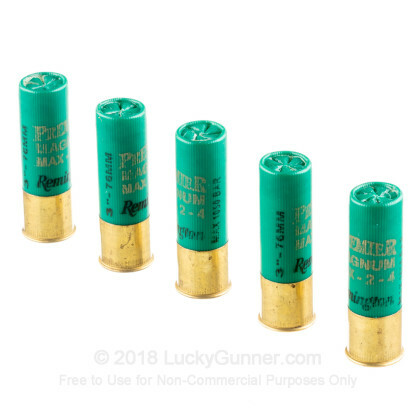 For nearly a century and a half, the 12 gauge shotgun has been giving the world the close range firepower they need, whether it be for military, law enforcement, hunting, keeping your family safe, or sport shooting. 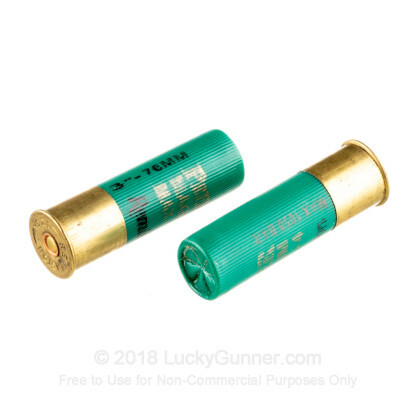 Proven through its extensive use, the 12 gauge shotgun will never let you down. 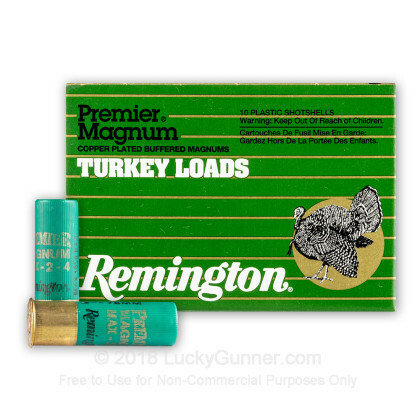 As the nation's oldest ammunition and firearms manufacturer, Remington is one of the most respected companies in the world. 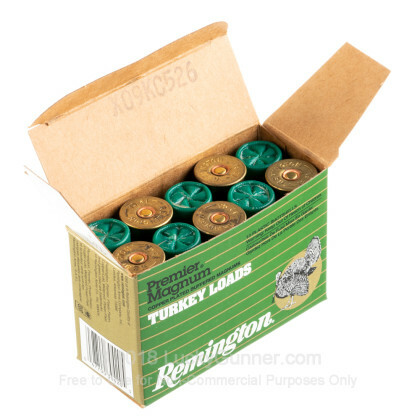 With Remington ammo in your shotgun, you know you can count on your ammo to get the job done. 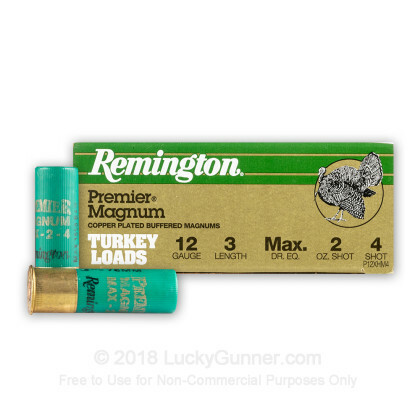 Firing at 1175 feet per second, this Remington Premier Magnum Turkey, 3", two ounce, #4 shot ammo has the massive payload and fantastic pattern you need to blast any turkey you decide to cap.